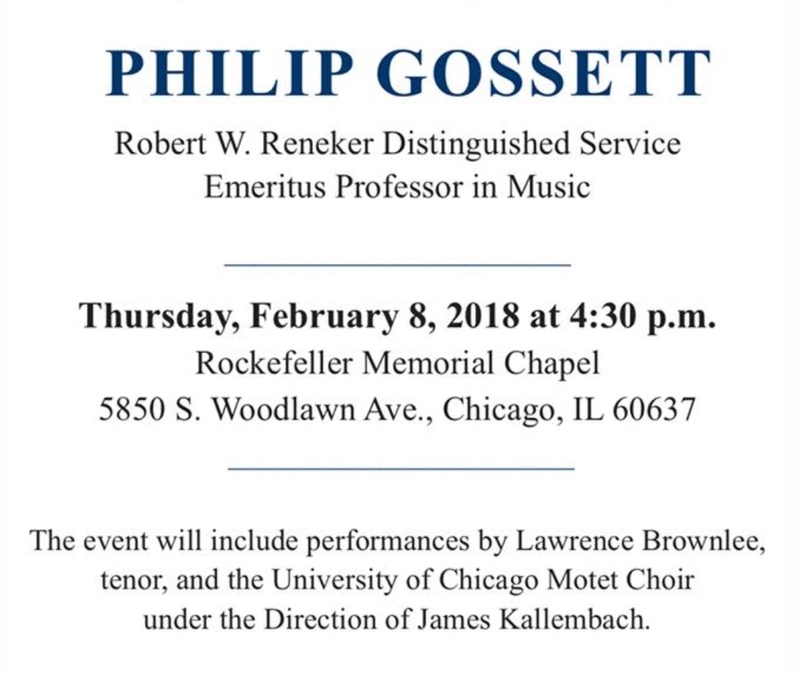 We are pleased to present this account of the Memorial Service for Professor Philip Gossett held in Chicago this past February. Special thanks to Beth Parker for sharing this with the American Rossini Society and RossiniAmerica. NB To read the whole tribute be sure to click on the arrow at the bottom of each page! 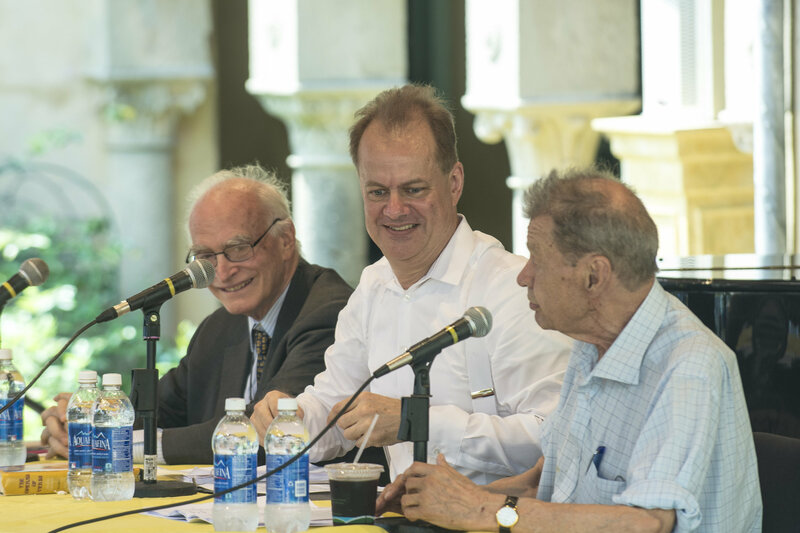 When it was announced that Will Crutchfield was launching Teatro Nuovo as a place for all things Bel Canto in the US, people who were familiar with his work at Caramoor were delighted. 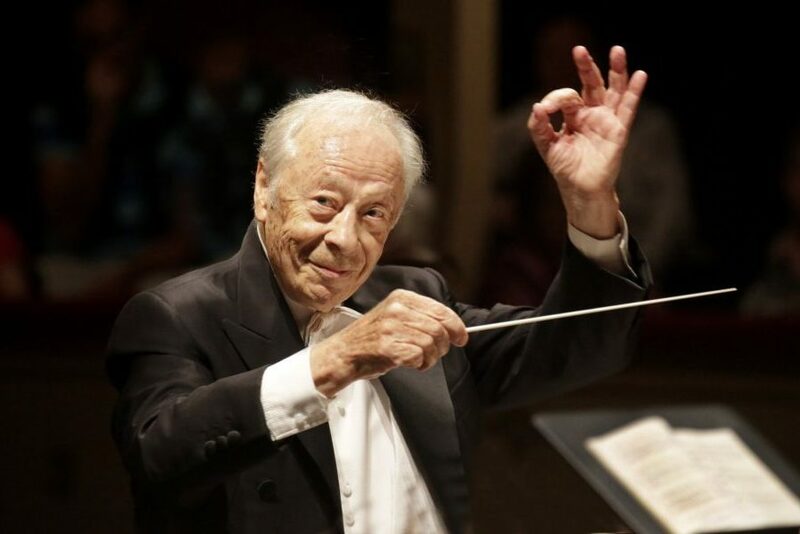 Some who have not been to Caramoor are familiar with his work in, among other places, the Rossini Opera Festival in Pesaro, as well as his many contributions as a music critic for the New York Times. We were delighted that Maestro Crutchfield agreed to take the time to answer a few questions. Pictured below is Crutchfield seated between Philip Gossett and Andrew Porter. 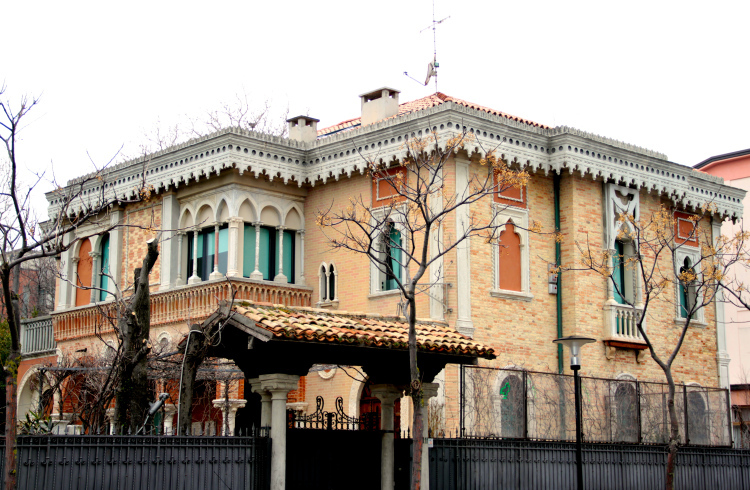 For more about Teatro Nuovo please be sure to visit the website: teatronuovo.org. Q. You speak of how old recordings help throw light on singing in the past. Does the type of vocal writing give useful insight into what singers were able to do? Is there a difference between say the vocal writing of Haydn, for example, and Rossini that lets us know about how voices developed? WC: Yes – in every way but the sound itself, which is sometimes the most important thing. Vocal writing tells us about what singers were able to do in basically three ways: the pitch-range covered, the differences (if any) in the way different portions of the range were treated, and the figures and phrases the voice could be called upon to execute. One thing to remember, though. Arias were usually written with a particular singer in mind, and then adjusted – within the prevailing musical language, but often with quite radical changes of range and figuration – if another singer took them over. So really when we study vocal writing we are studying what one singer could do. If we know enough different pieces, we can build a picture of what characteristics were more common and what more rare. So to take your example of Haydn and Rossini – we can look at their music and see that tenors using the highest head-register notes had become more prominent. They existed before – Haydn wrote a diary entry comparing two tenors going far beyond high C, and observing how one handled the head-chest transition well and the other badly – but he didn’t compose a lot for tenors comfortable in that zone, whereas Rossini did. And then if we study enough adapted pieces, we can build a sense of how much each singer’s characteristics mattered. One thing I’d say we do too much nowadays is try to stretch individual voices to encompass notes that might be achievable, but might not have the most beautiful sound. Or to sustain a tessitura that might become manageable with enough effort, but only at the cost of sounding like hard work. It’s clear that in Rossini’s time – and before, and for a long while after – they cared more about a note being good than about it being high or low. Rewriting was constant. Transposition was constant. I think we are still too reluctant to use those tools. It takes some study to use them well, but all the info we need is available. Here’s another Rossini example, if you have room for it. Thanks to the critical edition, we have the adjustments Rossini made to his own music for the first Arsace in Semiramide.Now, Arsace is a low part and almost 100% of current singers add high notes to it – because they’ve mastered those high notes for use elsewhere, and maybe developed their voices with more strength towards the top and less in the middle. Nothing wrong with that if it sounds good. But what did Rossini do? All the way through, he made the part lower. He obviously felt his singer sounded better, or performed with greater comfort, in the area of Eb, E, F at the top of the staff than in the area F#, G, G#, and so that’s how he retouched it. There’s something to learn from that. Q. You make an enthusiastic argument about the “collective decision” that this tradition is valuable. What can be done to guide the public to a true appreciation of the tradition? WC: The broad tradition I think we’ve made a “collective decision” about is Italian opera itself. We’ve decided by falling in love with it, buying tickets, studying, donating to opera companies, writing and reading books about it, etc. etc. There are enough people doing those things every day to put it beyond debate that this stuff has societal worth and should be fostered. But then when you get to particulars of “style and technique,” you can have plenty of arguments among people who are already united in loving opera, but disagree about what serves it best. And that’s not unhealthy. Q. One argument one often hears from young singers is that it is not worth it to pursue bel canto (particularly Rossini) because the chances for getting work are so limited. This seems to be even more acute in the US than in Europe. Teatro Nuovo is certainly giving opportunities; how do we make more? WC: Let me divide this into two questions – first, US vs. Europe – we all have to recognize that opera is more at home in Europe than in the Americas. Yes, many of us here have European ancestors – but they are the people who moved away from their roots. When we are drawn to opera, we’re being drawn to something that is not exactly ours culturally – and as the opportunity spreads, Asian nations are being drawn to it too, even though they have very few European-descended citizens. That’s because it has universal appeal. But we can’t get upset if it has still more appeal in the part of the world where it grew. Tastes and repertory in the US are always going to be a little more limited than those in Europe. It’s not a disaster. It’s just something you work to improve over time. And it is improving. Last season, Donizetti was the second-most-performed composer in the Met season – ahead of Mozart, Verdi, and Wagner. If somebody had offered odds on that twenty years ago they would have been 99 to 1 and a Donizetti optimist could have made a fortune. Serious bel canto operas are popping up at Glimmerglass, Santa Fe, Chicago, Houston – and not just the top five or six titles. Again, unthinkable a generation ago. So there’s every reason to keep this ball rolling. But second – bel canto vs. opera in general – here there is a lot of misunderstanding. There is no reason for a singer expert in bel canto to find fewer chances of getting work, because bel canto – properly understood – improves the quality of singing in every kind of opera, Wagner and Janacek included. If singers find that working on Rossini makes their Puccini sound less good, then something is wrong with the way they’re understanding bel canto. Rossini needs all the good qualities Puccini needs, plus runs and trills. And we’d get better Puccini too, if our Puccini singers had better control of attack and dynamics, which Rossini just might help them get. Q. You are responsible for the critical edition of Aureliano in Palmyra which had some lovely performances at the Rossini Opera Festival. It must have been quite a challenge fitting the puzzle pieces together to produce this score! How, then, do you make your peace with “deconstructing” Tancredi into what you are calling Tancredi rifatto?? It is wonderful to get the chance to hear the alternate arias, but what are the arguments for mounting a performance of the opera with them rather than presenting a concert of just the alternate arias? WC: Those alternate arias were written to be heard as part of an opera, as part of the through-line of a character’s life. Presenting them in concert can be fun too, but it is much more “deconstructive” than presenting them in context. Here’s a detail that we’re leaving out of the general publicity, because it gets too complicated, but for a Rossinian audience it will be interesting: Almost nobody has heard the original Tancredi – maybe nobody, I’m not completely sure – because almost all performances already use the later alternate aria for Tancredi in Act Two. The one we know, “Perché turbar la calma” with the cabaletta “Non sa comprendere,” is from the Ferrara revisions. The original score has a completely different scene, an aria with horn obbligato, and it’s great too, but almost completely unknown. So we are going to do the complete original Tancredi as premiered in Venice, with the un-familiar Gran Scena, and then in Tancredi rifatto we will do the Ferrara aria (and the death scene that follows it) – along with all the other alternative pieces written for various occasions. Q. Finally, a question about style. There is a tradition in classical ballet going back to the Danish choreographer, August Bournonville ( who was actually invited by Rossini to becomes a singer when they were in Paris!) The tradition has endured to this day although dancers’ bodies have changed and the original ballets were not danced “on point.” Given that singers are trained and expected to sing differently than they did in the past, is part of the challenge of preserving/respecting tradition taking this into account? WC: This is a complicated question and a rich field. What is “tradition” anyway? It’s not a way of keeping things unchanged – it’s a way of keeping them connected while they change. You master what your teachers’ generation was doing, then you add your own innovations, then you teach your own pupils both what you’ve preserved and what you’ve added, then they in turn make their innovations, and so on. But in all the arts, the forward move sometimes involves going back over history and seeing whether you find something that fell by the wayside – something that seems useful for revival and re-integration. The particular parts of the tradition I’m interested in reviving are basically three. One is the musical creativity of the soloist as a kind of co-composer of the solo line. That’s the whole tradition of ornamentation, but it went a good deal farther than what we call ornamentation. I think we need that because later traditions have subordinated the singer too much to the other elements of opera, and singers’ artistic personalities don’t get the fullest range of development I think they might. The second is that we need to pause in the midst of our amplified, miked age and look again at what it was like for singers who had never heard amplification and couldn’t imagine any such thing. The easiest example to explain: nowadays we have a tendency to sing as though we have a mike when we want to sing softly, and then wherever that doesn’t work, we just go ahead and sing loud. An acoustically viable soft note is something very different, and we’d gain a lot by getting it back. And that’s just one item in a long list. The third is where Teatro Nuovo is going to get quite radical. Over time, music developed fantastic complexity of orchestration, and fantastic techniques of modern conducting to coordinate it. This can lead to some astonishing music-making – but it can also be abused. One abuse in opera is this: bring in the orchestra for a few rushed rehearsals, and count on the skill of the conductor to put it together whether or not the players really know what is going on. It’s not satisfying for the orchestra, and it puts a lid on the expressive potential of the individual players. In Rossini’s and Mayr’s time, Italian theaters didn’t have stand-up conductors. They did have leaders, sure – a concertmaster and a keyboard player – but leading and controlling are two different things. Under the older system, both singers and players had to listen to each other and grasp each other’s parts. I’m convinced there’s a level of orchestral energy and expression to be unleashed here in the operas written for that system. And I think it’s good for the singers too – they will have to step up and lead their arias. There is no more reason “Di tanti palpiti” should be conducted than a string quartet or “Die Forelle” should be conducted. Thanks to Will Crutchfield for taking the time to explore these questions. We look forward to a successful season ahead for Teatro Nuovo with many more to come! We are fortunate that Charles Jernigan who was at the concert agreed to write this short account of a moving tribute held in Antwerp in January. The picture below is of the curtain call; The flowers with the letters were provided by one of Alberto’s greatest fans, Peter Vandamme. Alberto’s family was in the audience and surely must have felt the love and appreciation of all. 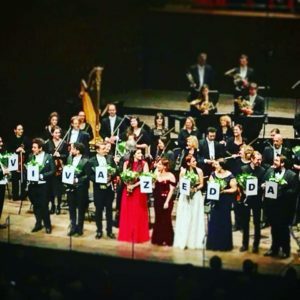 The Rossini Gala, sponsored by Opera Vlaanderen (Flemish Opera) was in honor of the great Rossini conductor, musicologist, teacher and festival director Alberto Zedda, who died last March at age 89. Had he lived, the plan had been for him to conduct this Jan. 6 concert himself; it would have been his birthday present to himself and to his admirers (his 90th birthday would have been on Jan. 2), with many stars associated with him and the Rossini Opera Festival in Pesaro, all singing extensive arias and scenes from Il barbiere di Siviglia, Tancredi, Il viaggio a Reims, Guillaume Tell and ending with the “Agnus dei” from the Petite Messe Solennelle. Even though there were some cancellations and replacements among the nine announced singers, we still had Nicola Alaimo, Teresa Iervolino, Salome Jicia, Carlo Lepore, Maxim Mironov, Cecilia Molinari, Michele Pertusi, Carmen Romeu and Enea Scala. All had close ties to Maestro Zedda and all are stalwarts at the Rossini Festival. 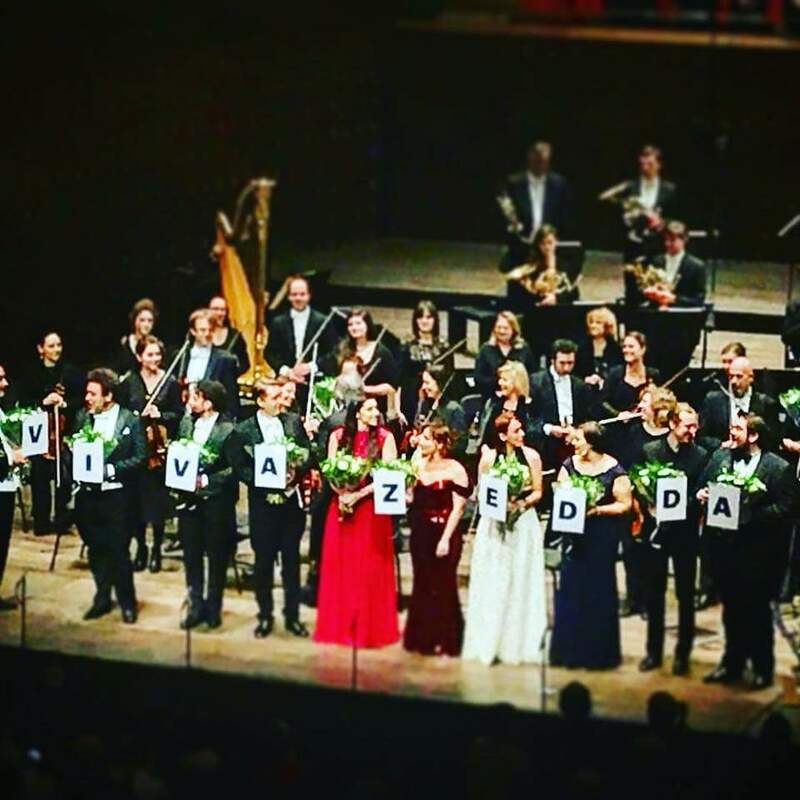 The concert included the orchestra and chorus of Opera Vlaanderen under the inspired baton of Donato Renzetti. Most of the singing was A+ spectacular, but, for me, the stand-out pieces were Lepore’s rendition of Don Profondo’s aria from Il viaggio, Alaimo’s recount of Tell’s “Sois immobile” and Scala’s account of “Asile héréditaire” from the same opera. And of course all the ensembles, including the entire transcendent finale from Guillaume Tell. When the sold-out audience would not let the singers go, they repeated the finale. Heaven, indeed. Editor’s note: the following link will enable you to enjoy the concert. The link will be active for the near future. Most who heard him will agree that Sam Ramey made Assur “his own”. We asked him to share some memories of his journey with Assur. Pay special attention to the ending if you expect to take on the role and follow in his foot-steps ( check the heels on your boots) as you go on stage. Q. 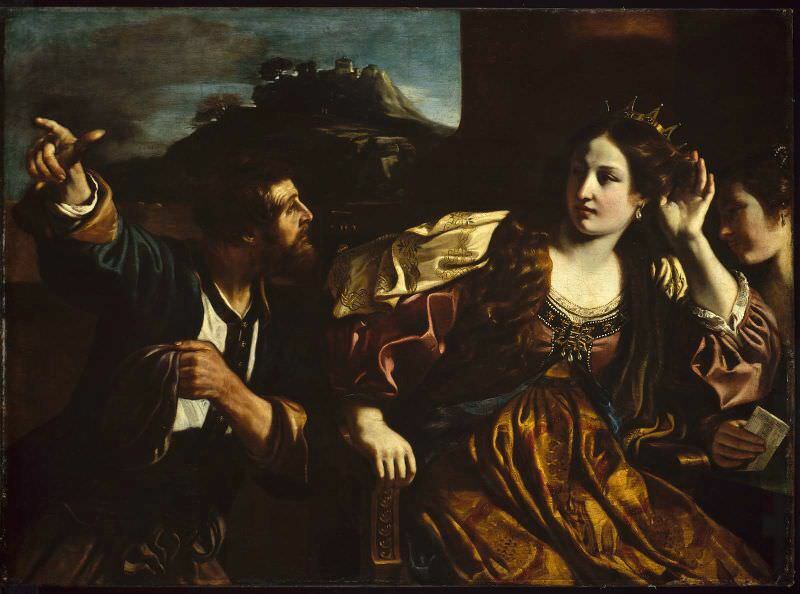 Your historic performances of “Semiramide” at the Met were not your first outing with this role. Many remember your Carnegie Hall performance with Horne and Anderson. Apparently those were based on the not-yet-complete edition which had its debut at the Met. Were there major changes in your role as a result of this? A. 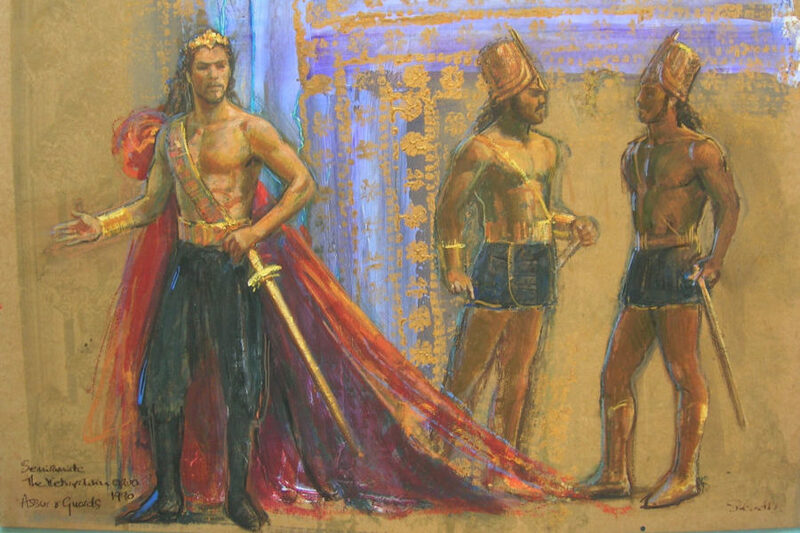 My first performances of “Semiramide” was the very famous (in Europe anyway) Pier Luigi Pizzi production which was first done at the Aix-en-Provence Festival in 1980 and remounted by the Paris Opera at the Theatre des Champs-Elysee a year later. My role in this production was not complete—mainly because there were no orchestra parts for the missing sections of music. I remember when I was offered this role at the time, I knew Marilyn (Horne) had already agreed to do it so I asked her about the role of Assur. I remember her saying, “Oh Sam! That role is all black notes!” I soon discovered that to be the case. When we did the performance at Carnegie Hall the missing orchestra parts were found (or re-constructed) so my role was complete. The only difference in my role was the repeat of the cabaletta–the orchestra parts for that were there for Carnegie and later for the Met production. My role was at last complete. Q. In an interview with “The Opera Quarterly” in 1993 you responded to a question about staged vs. concert versions by saying “In general, I would say that one should try to keep the staging of Rossini’s operas at a visual minimum , so the people can put all of their attention on the highly ornamented music. The audience should be focused mostly on the singing.” This same thought ( or versions of it) have been expressed by other great singers. Do you still feel it is true this many years later? A. I know that productions of an opera like “Semiramide” can look a bit like a concert performance in costume and make-up. The reason for this (in my opinion) is that these operas are so difficult to sing that there is little the singer can do on stage that won’t have an adverse effect on his,or her, vocal performance. I think I would still feel that way today. Q. “Semirmaide” is not really Assur’s story ( one could even say it is really Arsaace’s) but the opera certainly depends on a strong Assur. Is there something specific in Rossini’s music that demonstrates to you Assur’s importance ( to the story). A. I think just the fact that Assur has major scenes with Semiramide and with Arsace and a very important “mad scene” towards the end of the opera demostrates the importance of Assur’s character. Q. How did who you sang with affect your performances. Were you a different Assur for Anderson than for Cuberli? A. I sang performances with several great Semiramides–Caballe, Anderson, Cuberli, and Gruberova. I don’t think having a different soprano had any effect on my performance. I was always concentrating on all those black notes. Q Were you to be taking up the role of Assur today would you have a different spin on it? A. I don’t think I would take on the role today but if I did I’m sure I would see the role in the same way. Q. Who has the better mad scene? Assur or Attila? A. Assur or Attila? That is a difficult question. They are both great mad scenes. Maybe I would lean toward Assur’s simply because it comes toward the end of the opera–makes a greater impact on the audience. Q. Does Assur have any redeeming qualities? A. I don’t know if Assur has any redeeming qualities. In the cavatina of the mad scene he seems to be asking for forgiveness but then changes his mind. Q. Finally, do you have some specific memories of the preparation and the debut of this production at the Met in 1990? A. I remember it being great fun putting this production together. I had worked a lot with all the other singers and with Maestros Conlon and Copley, so we were like a musical family. I do have one memory from a performance. At the beginning of the mad scene I made my entrance walking down a staircase. I was wearing boot with very high heels. About half way down the stairs one of the heels caught on a step and came off the boot. So I was forced to hobble around the stage without the heel for the rest of the scene. Not fun–what with all those black notes!! RossiniAmerica would like to thank Sam Ramey for sharing these memories. Sam Ramey is a member of the American Rossini Society and a member of the honorary board of the Friends of the Rossini Opera Festival. The new bel canto festival at Purchase College, New York, will run from July 28th through August 5. Tickets are already on sale. Yes, you can go to Wildbad, Purchase, AND Pesaro! Read more here. It always amazes lovers of Rossini’s operas that his works are often deemed too long. There are operas by Mozart and Wagner that are equally long. 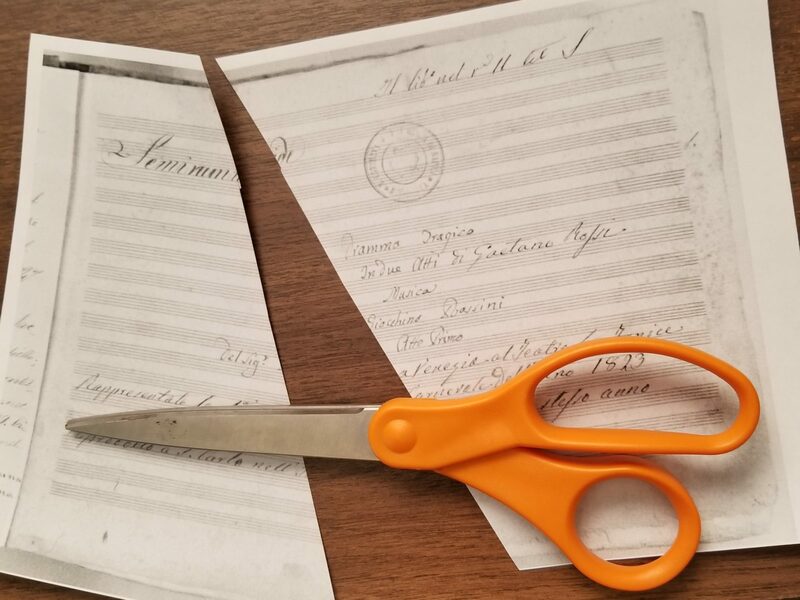 Often people are under the mistaken impression that due to the structure of Rossini’s operas it really doesn’t matter if they are “cut” here and there. Thus wrote Alberto Zedda in his book “Divagazioni Rossiniane”, recently translated into English by Charles Jernigan and appears as vol 8b of the Deutsche Rossini Gesellschaft’s publications. at the Met this spring or to see the transmission in a movie theater, keep in mind that cuts might be inevitable because of the realities of the “opera business” today. But fear not, the complete “Semiramide” will soon appear in a recording made for Opera Rara. In case anyone thought that the lives of score editors were dull, this great story about the discovery of the “stage band score” for Semiramide should put that thought to rest. Many thanks to Patricia Brauner for sharing this memory and for providing the link to the beautiful photograph where it all took place. We are fortunate that a member of the American Rossini Society who recently reviewed this book by Larry Wolff agreed to share his review with us. It is a lengthy review but well worth reading. You may also read our interview with Professor Wolff in the interview section of the pull-down menu Forum Rossiniano. Relations between European society (and the Western world in general) and the Ottoman East (and the Islamic world in general) has been a matter of great interest and often conflict since the era of the crusades, and of course it is a matter which has assumed great importance in our own time. Professor Wolff’s fascinating study takes on one corner of this monumental subject as it was reflected on the operatic stage from Lully’s incidental music for Molière’s comèdie-ballet Le bourgeois gentilhomme in 1670 to Stravinsky’s Rake’s Progress in 1951, but with particular emphasis on baroque opera and on Rossini’s incarnations of “the singing Turk” in La pietra del paragone, L’italiana in Algeri, Il turco in Italia, Maometto II and Le Siège de Corinthe. The first 226 pages of the book concern ‘turkishness’ in baroque opera and Mozart, concentrating on Handel’s Tamerlano and Mozart’s Die Entführung aus dem Serail, but with much interesting information and analysis of many other works including the “Turc genereux” segment of Rameau’s Les Indes Galantes, Vivaldi’s Bajazet, Mozart’s unfinished Zaide and works by Gluck, Haydn and others. About 130 pages are directly concerned with Rossini operas and the rest rapidly covers post-Rossini ‘Turkish’ operas by Bellini, Donizetti, Verdi et. al., and there is a short concluding summary. At times the book’s definition of Turkishness in opera seems to suggest the broad Islamic world, as with operas which deal with the crusades like I lombardi or with Islamic Iberia like Donizetti’s Zoraide di Granata, but for the most part “Turkishness” is coincident with the Ottoman empire from the time of Suleiman the Magnificent’s siege of Vienna (1529) through the early nineteenth century. During this period the complex relations of European countries with the Ottoman world changed constantly and the European view of “Turks” varied from fascination to horror; there were alliances and wars, many of them dependent on inter-European conflicts or accords, for instance France’s alliance with the Ottomans because both opposed the Hapsburg empire. The book categorizes the diverse ways the Ottoman Turk is treated in opera: as 1) a tragic figure (e.g. Bajazet in Tamerlano); 2) a comic figure (e.g. Mustaphà in L’italiana in Algeri); 3) a generous or forgiving one (e.g. Pasha Selim in Entführung); 4) a raging conqueror (e.g. Winter’s Maometto). As interest in the Ottoman world waned on the European stage, Rossini gave us additional types: the charming Turkish traveler on the ‘grand tour’ (Selim) and the complex and not unsympathetic warrior in love (Maometto II). There are also certain popular plot tropes which are repeated over and over again, particularly the beautiful European female held captive in an Ottoman harem who is rescued by her lover as we have in Entführing and, with a gender reversal, in L’italiana. This frequently repeated plot reflects the real experience of European captives at a time when piracy in the Mediterranean was a normal fact of life, with captives sold into slavery, ransomed or, in the rare case of the female captive, added to the harem. We also frequently find Europeans disguising themselves or dressed as Turks, a trope which begins with Moliére/Lully, continues with several commedia dell’arte vaudevilles (plays interspersed with songs based on popular melodies) written for fairs in France, and which finds its most famous incarnations in Mozart’s Così fan tutte and several Rossini operas (La pietra del paragone, L’italiana in Algeri and Il turco in Italia). These and other popular plot devices are part and parcel of the “Turkish” operas from the very beginning of a Turkish presence on the European stage to Rossini and beyond. 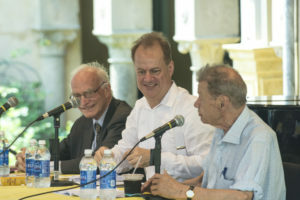 Dr. Wolff is the Silver Professor of History and Director of the Center for European and Mediterranean Studies at New York University, and as he explains in the book’s Introduction, “This is not a musicological study but rather a study in cultural and intellectual history, exploring how ideas about the Ottoman empire and representations of Turkishness took operatic form” (5). Wolff attempts to place the operas he examines in the context of historical events of the time and place of the opera’s composition. Thus Mozart’s Entführung is seen in relation to the “enlightened absolutism” of Hapsburg Emperor Joseph II as well as within the zeitgeist of a Vienna getting ready to celebrate the hundredth anniversary of the decisive defeat of the Ottoman forces of Kara Mustafa by a coalition of Christian European countries in the last siege of Vienna in 1682. By the time of Mozart’s opera, the Viennese and Europe in general no longer worried about an Islamic invasion, and so the time was ripe for the “generous Turk” to reappear under the guise of Pasha Selim, a figure who, as Wolff rightly argues, is really the Emperor Joseph (whose patronage Mozart longed for) presented as a wise and forgiving Turkish despot. Wolff sees Osmin in some ways as a stand-in for the Archbishop of Salzburg whom Mozart wished to escape. In the case of this opera, Wolff’s analysis is multi-layered; he successfully theorizes that it fits the general currents of history at the time and references specific historical figures sub rosa as well as Mozart’s personal trials with the Archbishop. In Chapters 10 and 11 Dr. Wolff takes on the case of Maometto II and its Parisian reincarnation as Le Siège de Corinthe, both works with a great deal of historical resonance. Mehmed the Conqueror (Maometto II), who ruled the Ottoman empire from 1451 to1481, was of course a historical figure, and his conquest of Venetian Negroponte (today Chalkida in Greece) is historical fact. Even the romance and martyrdom of Anna Erisso has some historical claims to veracity, as it is “…loosely based on the most reputable French classical account of Mehmed’s reign by George Guillet de Saint-George…” (315). Wolff tries to place Maometto II in Napoleonic terms by suggesting that the ambivalence of his character—he is a conqueror but not a hypocrite (like Voltaire and Winter’s Maometto, who is after all the Prophet and not Mehmed the Conqueror). He wreaks destruction, but he is human; he loves; he is both warlike and tender in Rossini’s music. Wolff even briefly compares him to Rossini himself, a “conqueror” and a man in love (with Isabella Colbran, the original Anna). I am not so sure that Rossini had Napoleon in mind when he wrote Maometto II, but the opera does fit Wolff’s argument that the zeitgeist allowed the sympathetic portrayal of a conquering Turk. Wolff also examines the Venice version of the opera with its illogical lieto fine and changes to the character of Maometto. Le Siège de Corinthe (1826) is a different story, fitting both zeitgeist arguments and specific references to events contemporary to the opera. Certainly the Parisian public was roused to the defense of “European” Greece and the cry to free it from Ottoman rule. Lord Byron had died as he prepared to take part in the battle for Missolonghi, which the Ottomans won after a long siege a few months before the opera’s premiere. The wildly popular Byron had stoked philhellenism in several poems including “Maid of Athens” and part of Don Juan, and Wolff points out that the title of Rossini’s opera almost surely came from “The Siege of Corinth,” a minor Byron poem of 1816. Wolff argues that Le Siège’s Mahomet becomes a philhellene too, and of course Rossini and his librettists add the character of Hiéros, a prophet who looks to future Greek freedom while recalling the glorious ancient past at Thermopylae and Marathon from the perspective of a siege which took place in the 1400’s. This time, Rossini was very intentionally tapping into the sentiment of his time and probably with a view to the specific event of Missolonghi. 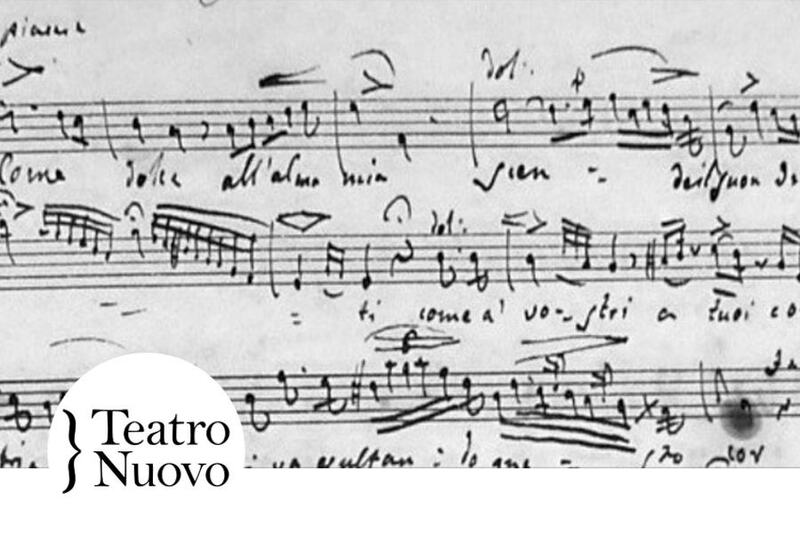 Naturally, Wolff’s study relies for the most part on libretti, and in this sense his book is one of comparative literature, putting the written text in the context of its time, but although he is not a musicologist, he does not ignore the music. Indeed, one of the most interesting aspects of his book is his detailed analysis of specific operas including Italiana, Turco, Maometto and Le Siège. For all of these Rossini works (and many other operas) he explores in detail voice type and especially the use of “Turkish” Janissary music in the operas and in European music in general. Rossini, of course, makes extensive use of Janissary percussion including triangles, big bass drums, bells and so forth and weaves it with great skill into his scores. Indeed, for him, this percussion section is often referred to as the “banda turca.” Contemporaries sometimes complained of the ‘noisiness’ which such instruments brought to his music, but it is undeniable that some of the excitement and brio of his operas comes from the use of these ‘turkish’ instruments. In one of the most beguiling parts of the book, Wolff explains that the famous finale of Act 1 of L’italiana in Algeri is really a Janissary banda put in the mouthes of the singers when they imitate the sounds of “Turkish” percussion. Janissary music had been part of many “Turkish” operas before Rossini, but only his genius both used it and satirized it as the characters themselves become instruments of the band. Although about a fourth of Dr. Wolff’s book relates directly to Rossini operas, the Rossini enthusiast will find much of interest in the other parts (there are references to Rossini throughout) which show how these Rossini operas fell into a long-standing tradition, but also how Rossini transformed the tradition and made it his own. I might add that although Prof. Wolff’s love of Rossini and great respect for his genius comes through on many pages, some of his most interesting insights involve little known operas of the eighteenth and early nineteenth centuries. Some—like Peter von Winter’s Maometto—have been seen onstage by Wildbad’s faithful opera-goers; others are completely unknown to me, at least, and are all the more fascinating for that reason. This is a scholarly book, with 53 pages of notes and almost 30 pages of index. It does not need to be read all at once, but it offers fascinating insights and a new lens for looking at familiar and not-so-familiar operas, and for those interested in Ottoman history and eighteenth century European history, it is a treasure-trove of information. In that sense, it offers us context which both enriches the opera enthusiast’s knowledge and is as up-to-date as today’s news.